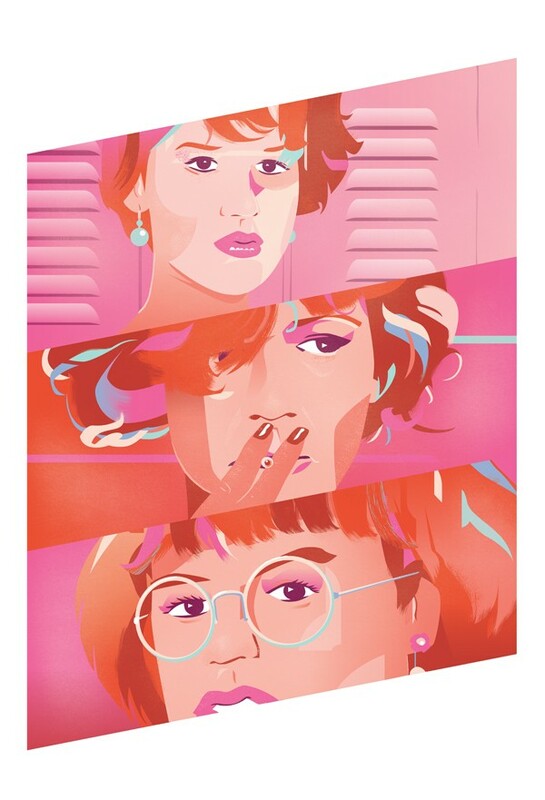 New art print celebrating the empowering 1980s icon Molly Ringwald and the characters she played in John Hughes’ Sixteen Candles, The Breakfast Club and Pretty in Pink. I’m excited by shapes, form, movement and colour. The tip of a pine-tree, the wave before it drops, the corner of a building, the curve of an eyebrow; I find these forms exciti… Show more. Send a message directly to Ben O'Brien. I’m excited by shapes, form, movement and colour. The tip of a pine-tree, the wave before it drops, the corner of a building, the curve of an eyebrow; I find these forms exciting. A kingfisher’s feathers, new sneakers, new sunrises, orange Lego blocks; I find these colours exciting. In life we’re provided with endless forms and colours and I excitedly recreate them in my illustration work, I enjoy creating exciting illustration, illustration that excites people. I am a highly experienced illustrator, renowned for a positive, creative outlook and a solid understanding of commercial design, the visual arts and successful business. I love it. I relish diversity and welcome all opportunities; large or small, print or digital, editorial, advertising, publishing, interiors, fashion, surface patterns, murals and any other world beyond. Clients: Aardman, Airside, BBC, Berri Fruit Juice, Computer Arts, Delta Airlines, Fuel Juice Bars, FuseProject, Girl Scouts of USA, GQ Magazine, Honda, International Contemporary Furniture Fair, JWT, Leo Burnett, Monocle Magazine, The New York Times, Nickelodeon, Pixar, Redactive Publishing, Smart Cars, Sunday Publishing, TBWAChiatDay, Virgin Media, Westfields Shopping Centres, Waitrose, Warner Music, XL Recordings.